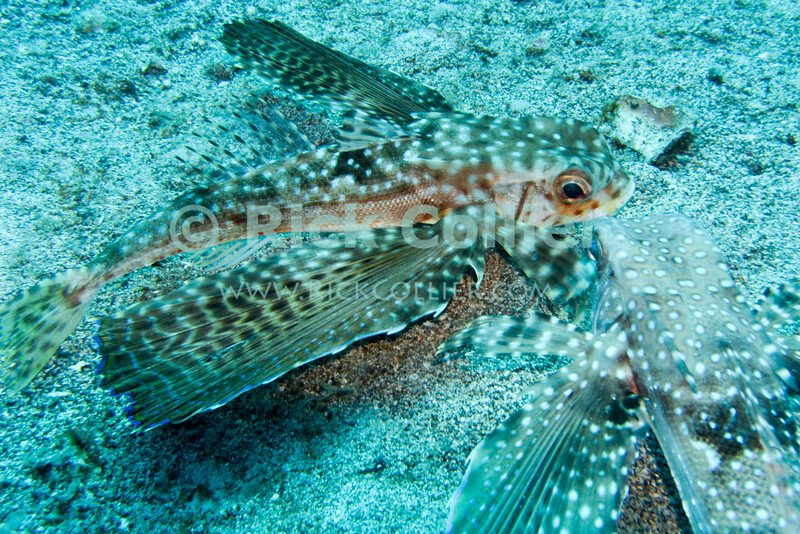 The flying gurnard fish crawls along the bottom using lower fins and eats small prey on the bottom. The gurnard spreads its 'wings' when startled or alarmed. St. Eustatius (Statia), Netherlands Antilles.